On Saturday 3rd March 2018 the Ulster Federation of Rambing Clubs (UFRC) held their second Spring Gathering at Greenmount College, Co. Antrim. Despite the snow 87 people representing affiliated clubs from across Northern Irleand attended and enjoyed a day of inspirational talks, great food & engaging workshops. This years keynote speakers included Pesenter & Explorer Dermot Somers and Murrough McDonagh CEO of Mountaineering Ireland. Workshops covered a wide range of areas including First Aid, Intermediate Navigation, GPS, Keeping Safe In The Hills and Long Distance Walks each designed to develop our members skills and confidence in the hills. A wide of photos from the event are available on the UFRC Facebook Page. 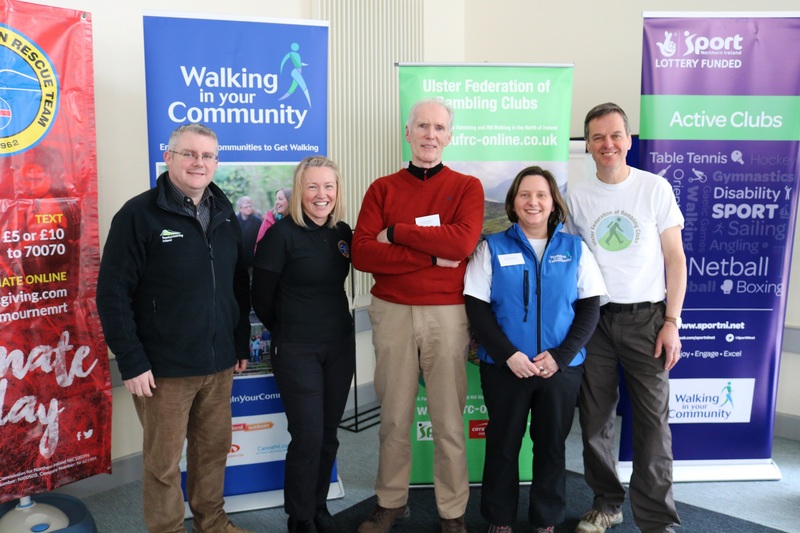 The event was organised by Outdoor Recreation NI in partnership with the Ulster Federation of Rambling Clubs. This partnership is currently funded by Sport Northern Ireland & The Big Lottery Fund through the Active Clubs Programme. The UFRC would also like to take this opportunity to thank those who went above and beyond the help the day go ahead inspite of the weather conditions: Tollymore National Outdoor Centre, Mourne Mountain Rescue Team, JMP Training and ML Mike Smith.